Click here for Board Minutes Beginning Nov. 2015 (then choose year). Welcome to Sonora Elementary School website! Feel free to browse through our site. Please check our Upcoming Events and the For Parents section for the latest information for your student. We have a Facebook page as well, look for our school logo and a picture of the school bell - to check it out, click here! School will be closed on Monday, April 22, 2019. Classes will resume on Tuesday April 23. The Sonora School Board is seeking “Parent “ and “Community” representatives to serve a four-year term on the Citizens Oversight Committee. The purpose of the Citizens Oversight Committee (COC) is to inform the public concerning the expenditures of bond revenues. The committee normally meets on a quarterly basis. An interested citizen would need to be a parent who has a child enrolled at Sonora Elementary or a person living within the Sonora Elementary school district boundaries. Please contact Leigh Shampain @ 532-5491 for further information. We have not one, but TWO students of the month for March! 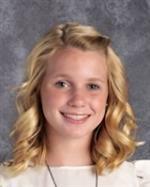 We are pleased to announce our March Student of the Month, Emma Severson. Emma is the daughter of Matt Severson. Emma was born in Sonora and attended Oakdale schools until the end of 6th grade, coming to us at the beginning of 7th grade. Her favorite part of our school is the connection she has made with our staff. She has represented us in volleyball and basketball, and has been involved in cheer for six years. In her free time, she likes to be with family and friends. Her favorite part about living here is the variety of Downtown Sonora. She will be moving on to Sonora High School in the Fall and looks forward to being on the cheer team. After high school, she wants to pursue a career as a pediatric nurse practitioner. Her teachers describe her as kind, enthusiastic, positive, and always willing to help. Great job, Emma! 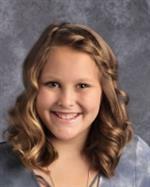 We are pleased to name the Sonora Elementary March Student of the Month, Ella Wolken. Ella is the daughter of Kurt and Krysta Wolken and she was born in Amarillo, Texas, having come to Sonora Elementary at the beginning of 4th grade. She has represented us in volleyball, basketball and track, and also participates in travel soccer, through TCYS. She also likes to hike, bake and cook. In living in Sonora, she values the importance of our close community. She is going to move on to Sonora High School and looks forward to the competition in sports. After high school, she has an eye on admission to Texas Tech and she wants to pursue a career as a nurse practitioner. Her teachers describe her as focused, determined, confident, hard-working, and helpful. Great job, Ella! 10:30 AM - 12:30 PM All 3rd Grade Classes to Summerville High to see the "Shrek Jr." performance. 3rd Trimester Progress Reports for 6-8th Grades to be mailed home.